The Kompac Elite 10 is a modern UV & Aqueous coater capable of applying coating to on demand digital labels or cut sheets up to 10” wide by virtually any length. Whether digital output or offset, each job will have the visual appeal, lasting durability, protection and rub resistant finish that your customers expect! 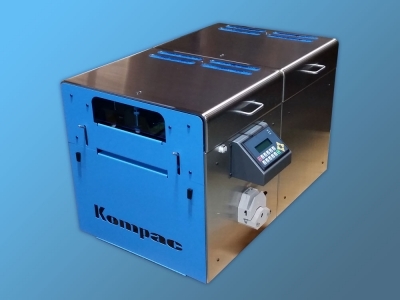 Proudly made in the USA, the Kompac Elite is built for 24/7 operation. The Elite is the only UV coating system to feature Digital UV! Environmentally friendly, Digital UV replaces outdated & potentially hazardous ballast / mercury relay systems used in curing UV coatings.